Blueberries and lemon partner with this Chinese green to create full flavor that is not too tart. Excellent cold brewed tea for a hot summer day for berry flavored refreshment. 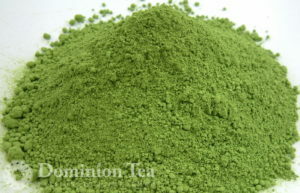 Matcha Green Tea is produced from handpicked leaf and ground with granite stones to produce this green powder tea. Perfect for cooking, daily consumption, or your own tea ceremony. 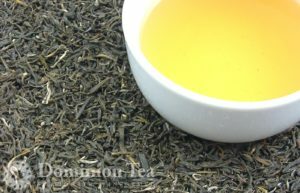 A beautiful Darjeeling style green tea made in small batches in remote eastern Nepal. 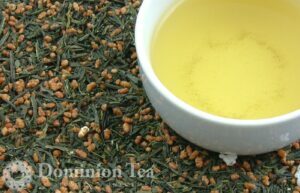 Genmaicha is made with larger leaves, bits of stem, and rice kernels to produce an infused liquor with a toasted, almost buttery, aroma and flavor. Also great infused with matcha. Ginger Biscuits organic green tea combines organic ginger, lemon and green tea to create the full flavor of a ginger snap cookie. Reminder of baking holiday cookies for the family. 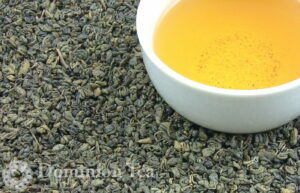 Classic Chinese Gunpowder Green Tea with individual leaves rolled into a tiny pellet like gunpowder. 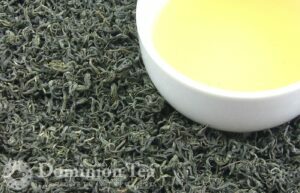 Made from the highest grade of green tea available from Anhui Province, China. 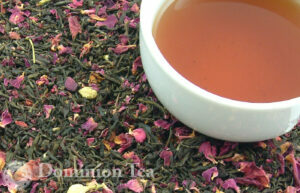 Smooth blend of green tea and hibiscus for a perfect blend of sweet and tart. Great iced or hot. 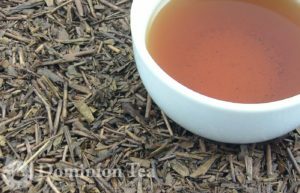 Hojicha Organic is a unique Japanese tea, baked to produce a strong, roasted, nutty flavor. 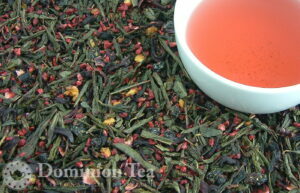 Produced by roasting sencha tea over charcoal to produce reddish-brown colors. Our Hundred Year Tea plays on a traditional Korean tale around Hundred Year Wine, combining many of the same spices found in Baekseju for a simultaneously sweet, savory, and spicy, green tea. 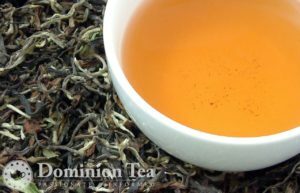 Also known as Jasmine Dragon Pearls or simply Jasmine Pearl Tea, this beautiful pearl shaped green tea with various light green to silver colors running throughout. 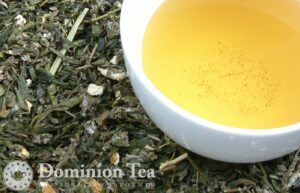 Jasmine Green tea is produced by layering jasmine flowers in between Chinese green tea during manufacturing. 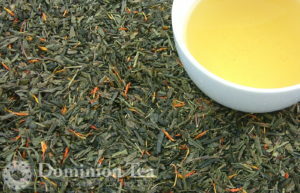 Produces a jasmine scented tea with sweet aroma and a floral taste. 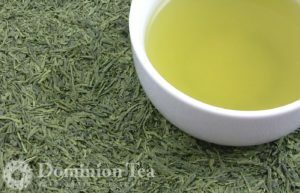 Konacha Japanese Green Tea, made from Gyokuro, features a mild and sweet, grassy flavor. 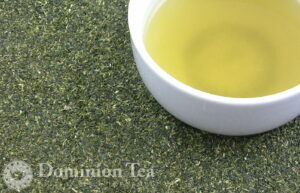 This Japanese powdered gyokuro tea produces a very deep green color, full bodied liquor. 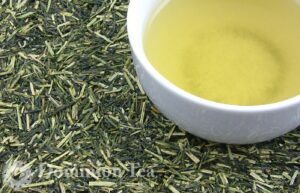 Kukicha is a very light and delicate green tea enjoyed mainly for its aroma. 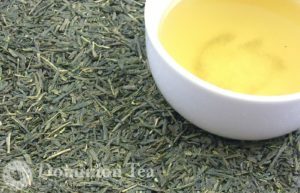 A product of the stalks and twigs left over from the production of Gyokuro and Sencha, this tea produces a very pale, yellow-green, color and a delicate taste with hints of sesame. 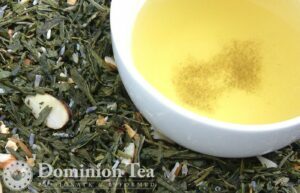 Matcha Infused Genmaicha tea features the nutty flavor you expect from Genmaicha combined with a dusting of matcha for complexity and producing a slightly darker liquor color. All the great taste of Sencha with a dusting of matcha combine to give a more interesting and complex taste than traditional Sencha alone. 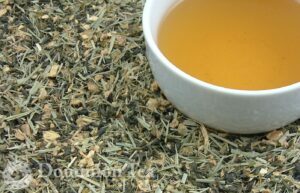 Moroccan Mint is our take on the classic mint tea consumed around the world. 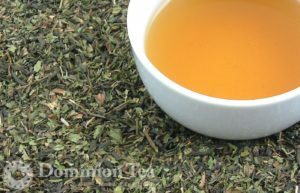 We combine a wonderful green tea with jasmine and peppermint to produce a bold mint tea. 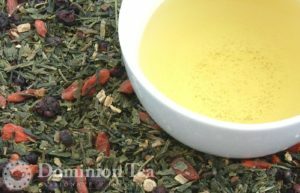 Inspired by the local stock of pear trees and raspberry bushes this green tea blend is light and refreshing either hot or iced. 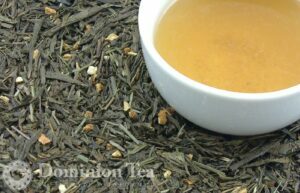 Traditional Japanese green tea, this refreshing Sencha Organic has vegetal notes and Sencha character. 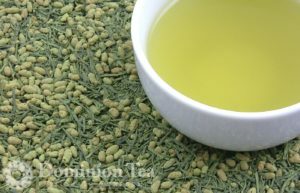 Sencha is a well known Japanese green tea as base for genmaicha, and more. This inspiring blend of Jasmine scented green tea, Earl Grey black tea, and rose petals is inspired by the White House Rose Garden. 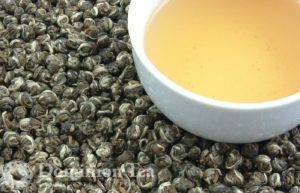 Aromatic tea with smooth floral character.